Location: 2065 San Ramon Valley Blvd. 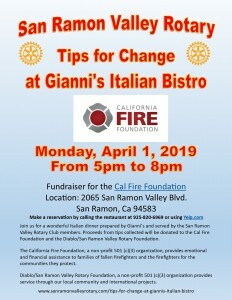 Join us for a wonderful Italian dinner prepared by Gianni’s and served by the San Ramon Valley Rotary Club members. 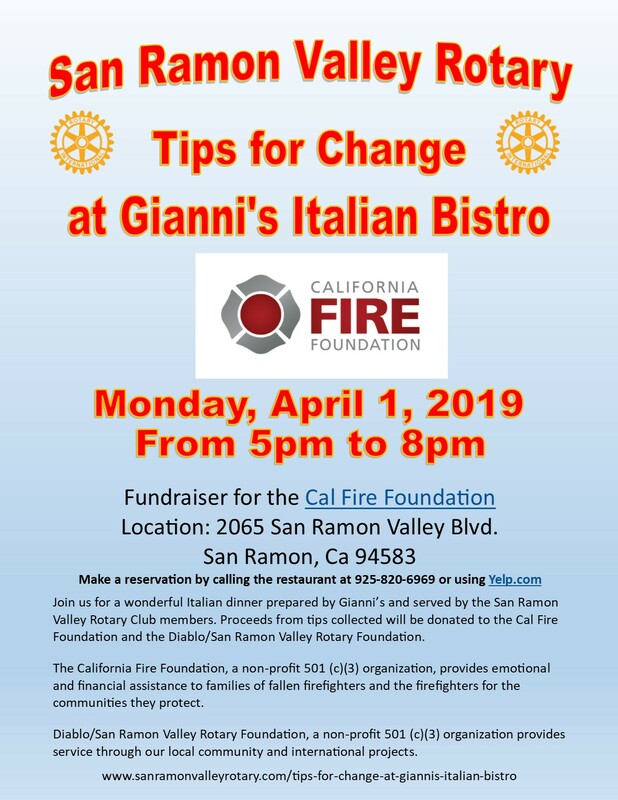 Proceeds from tips collected and 10% of sales will be donated to the Cal Fire Foundation and the Diablo/San Ramon Valley Rotary Foundation. Diablo/San Ramon Valley Rotary Foundation, a non-profit 501 (c)(3) organization provides service through our local community and international projects.